Foreigners are normally required to obtain a visa before they arrive in China. Certain foreigners may apply for a visa on arrival at certain China entry ports. 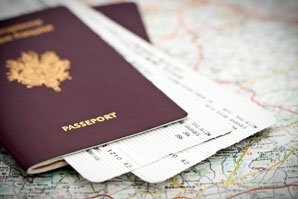 Citizens of the US and France are not allowed to apply for port visas. 1. In the event of an emergency, when you have to rush to China but have no time to make an application. 2. You travel to and stay solely in these designated areas: Shenzhen, Zhuhai, Xiamen, and Hainan Province (Sanya and Haikou). Important: It is not guaranteed that a landing visa will be issued to every tourist. 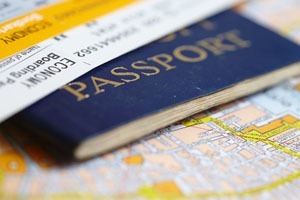 It is advisable to get a visa before departure. See how to apply for a China visa. 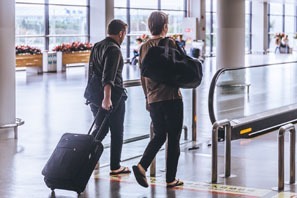 It is possible to apply for a visa on arrival if you are in an emergency situation, mostly related to business purposes or a life-and-death matter. You are always required to offer an invitation from an accredited Chinese organization. China ports of entry offering port visas include Beijing, Chengdu, Chongqing, Dalian, Fuzhou, Guangzhou, Guilin, Haikou, Hangzhou, Heihe, Jinan, Kunming, Manchuria, Nanjing, Qingdao, Sanya, Shanghai, Shenyang, Shenzhen, Suifenhe, Tianjin, Wuhan, Xiamen, Xi’an, Weihai, Yantai, and Zhuhai. Foreigners who are invited at short notice to attend trade fairs by their Chinese hosts. Foreigners who are invited to China to submit tenders or sign economic and commercial contracts. Foreigners who go to China under contract for supervision of export shipment, import commodity inspection, or goods checked on the completion of a contract. Foreigners who are invited for emergency installation/repair of equipment or engineering projects. Foreigners who are invited to solve a problem relating to claims under the request of the Chinese host. Foreigners who are invited to China to provide technical consulting services. Foreigners who have a last-minute change in visa status after their visas are granted, with the consent of the presiding Chinese authority. Foreigners who go to China to visit seriously ill patients or to handle funeral issues. Foreigners who cannot leave China by air within 24 hours due to force majeure and who need to use other means of transportation. Invited foreigners who have no time to apply for visas from Chinese overseas visa authorities and hold letters from the designated authorities approving application for a visa at the port of entry. Invitation letter and supporting documents concerning urgent entry into China, written by the relevant competent inviting organization/individual. Individuals apply in person to the port visa administration office after arrival at the port. Tour groups apply via the travel agency organizing the tour at the port visa administration office. Institutions/individuals can apply for port visas for foreigners before they arrive at the port at the local port visa administration office. 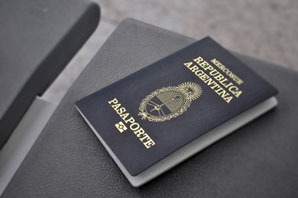 The port visa administration office shall issue port visas with an entry period of no more than 5 days for individuals and 15 days for groups, and a stay period of no more than 30 days. Individuals holding port visas should enter China through a specific port, while tour groups may enter China through all open ports. Under particular circumstances, foreigners should stay in the designated port area and leave from a designated port, as per the requirements of the port visa administration office. 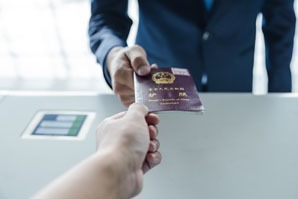 Visitors from most countries may obtain an entry visa when traveling to and staying solely in the three Special Economic Zones: Shenzhen, Zhuhai, and Xiamen. The port visa administration offices in the three zones can issue Special Economic Zone (SEZ) visas. Visas for Shenzhen are valid for 5 days, and visas for Xiamen and Zhuhai are valid for 3 days. Foreigners holding Special Zone Travel visas are not allowed to go beyond the administrative area of the entry port. Passport holders in most countries can get a visa on arrival in Shenzhen, such as Australia, Canada, the UK, New Zealand, Spain, and Ireland. Some may apply for it by showing their passports with proof that they have been issued a China visa before by embassies and consulates, such as Indonesians and Filipinos. 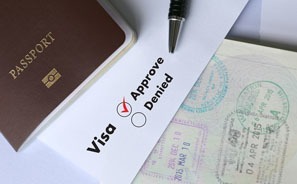 Nationals of the following countries are not eligible for the SEZ visa for Shenzhen: Afghanistan, Algeria, Bahrain, Cameroon, Egypt, Iran, Iraq, Jordan, Kuwait, Israel, Lebanon, Liberia, Libya, Nigeria, Oman, Pakistan, Palestine, Qatar, Saudi Arabia, Somalia, Sri Lanka, Syria, Sudan, Turkey, Uganda, United Arab Emirates, and Yemen. 1. Complete a visa application form. 2. Submit the visa application form and your passport, and answer the required questions. Besides the Hainan Visa Exemption Policy, Hainan has also implemented a visa on arrival policy in Sanya and Haikou. Visitors from the following countries may obtain a visa on arrival for a maximum stay of 15 days at Haikou Meilan International Airport or 30 days at Sanya Phoenix International Airport. The eligible countries are Australia, Austria, Canada, Germany, Indonesia, Italy, Malaysia, the Netherlands, New Zealand, Russia, South Korea, Spain, Sweden, Switzerland, Thailand, and the United Kingdom. Now, many major cities in China such as Shanghai, Hanzhou, Beijing, and Tianjin have had a 144-hour (6-day) visa-free transit policy for passengers from 53 countries. 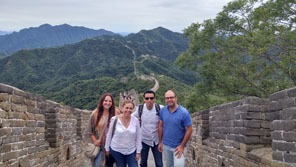 It is possible for you to enjoy a visa-free tour in China. 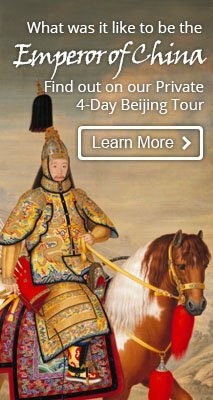 We can customize a tour for you to make the most of your time in China. Just let us know your interests and requirements.